This course is open to all LSE staff who need to update/edit Moodle courses. It provides an introduction to basic skills required to update/edit a course in Moodle. This is a flexible session covering any Moodle topic you require assistance with to help prepare your Moodle courses for the new academic year. The only requirement is that you have used Moodle previously; complete beginners should attend Moodle Basics. An introduction to the use of Moodle for teaching staff. By the end of the session participants will be able to; edit a Moodle course, be familiar with the Moodle activities, have experienced several features of Moodle as a course participant and will have reflected on they you could use the different features for blended learning. ABC is an effective and engaging hands-on workshop. In just 90 minutes teams are able to work together to create a visual ‘storyboard’ outlining the type and sequence of learning activities (both online and offline) required to meet the module’s learning outcomes. ABC is particularly useful for new programmes or those changing to an online or more blended format. Visual media presents many options for teachers looking to diversify assessment. It is increasingly common to find visual media assessment types – poster presentations, photo montages, photo essays, documentary shorts – being used to provide students with another way of further developing and applying their critical and analytical skills. With high levels of both mobile and tablet device ownership among student populations, visual media for assessment even presents some interesting possibilities for large-scale teaching and assessment. In this workshop, we will explore these options and, as a group, will work to identify and develop some ideas for integrating visual assessment into your teaching. This session is part of TLC’s Atlas programme. Book your place on the training system. Authoring tools can be used to produce interactive learning objects containing a variety of media, including video and audio. This session will introduce participants to H5P, a new tool in Moodle that is available to all teaching staff to create interactive resources for self-paced learning. During the workshop, participants will have the opportunity to create several different H5P activities, learn about how to align these with collaborative tasks and how to build narratives for the online component of their courses. Flipped learning is a pedagogical model that reverses the traditional approach of teacher-led instruction during contact time, and independent, activity-based learning outside of the lecture or seminar room. Reflect on how you can “flip” your lectures to make more effective use of contact time with your students and give yourself more options for how to plan and approach large and small group teaching. This course provides an introduction to LSE Moodle. The course is open to all LSE staff (PS and academic), and it teaches the basic skills required to update and edit LSE Moodle courses. Whether you are a proficient Moodle user or you have no idea what Moodle is about (yet! ), book your half-hour slot and we’ll help you develop your skills in using the platform for teaching or administration purposes. Explore the many options you can use in your class to improve teaching and learning without having to be a tech expert! These courses run on an as and when basis. 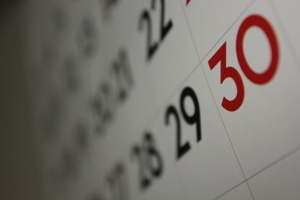 We also deliver bespoke offers to groups and departments. Contact lti.support@lse.ac.uk to discuss your needs and how we can help. A session on the various ways technology can support assessment and improve student engagement. An introduction to the benefits and implications of using student-made documenatry filmmaking in your course. Discover Moodle’s functionalities and online learning pedagogies to promote engagement with your course and outside the class. A session on the various ways you can embed blog writing into your course and its assessment. An overview of the ways to encourage students to play a more active role in their learning through innovative pedagogical approaches and technology. Reflect on how you can “flip” your lectures to make effective use of the face-to-face time with your students while differientating them from seminars and classes. Whether online or physical, discover how different types of games and their mechanics can be used in teaching and improve learning outcomes. A session on the approach that consists in using the mechanics of game design in a non-gaming context such as education and how to embed them in your course to enhance learning. Discover the characteristics of an effective presentation, get tips on good design and explore various tools and features to support your presentation. This session provides a general introduction to social media tools with a focus on their possible applications for teaching and learning. We offer training on editing and using Moodle for teaching for a variety of groups and levels. Speak to us about creating a bespoke session or attending our Moodle basics, Moodle refresher or Moodle for academics sessions. 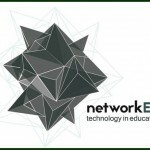 NetworkED is a seminar series organised by LSE’s Learning Technology & Innovation team (LTI). The series invites speakers from education, computing and related fields to discuss how technology is shaping the world of education. Technological developments, particularly the internet, have led to changes in the way institutions can deliver teaching, but are also impacting on students’ skills and their expectations of higher education. The seminar series is live streamed to enable an audience from around the world to listen and participate online.